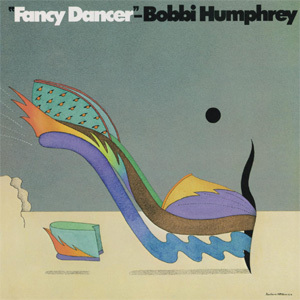 Bobbi Humphrey was a jazz flautist with musical tastes in fusion and smooth jazz-pop. From the begining of her career, Humphrey was quite popular, winning a large crossover audience with her pop-oriented jazz-fusion. Throughout her career, her popularity exceeded her critical acclaim, although several critics did praise her technique and showmanship. Even without critical praise, audiences stayed with Humphrey for decades, buying her records and seeing her concerts from the Montreux Festival to Carnegie Hall. Bobbi Humphrey was born in Marlin, TX, and raised in Dallas. She started playing flute in high school and went on to study at Texas Southern University and Southern Methodist University. Dizzy Gillespie saw Humphrey play at a talent contest at Southern Methodist and urged her to pursue a musical career in New York City. She took his advice and got her first big break performing at the Apollo Theater on amateur night. Soon after, she began playing regularly throughout in New York City, including a performance with Duke Ellington. Humphrey signed with Blue Note Records in 1971. Her blend of jazz, funk, pop, and R&B fit in well with the new sound of Blue Note, and her six albums for the label Flute In, Dig This, Blacks and Blues, Satin Doll, Live at Montreux, and Fancy Dancer were all successes. In particular, 1973's Blacks and Blues was a rousing success, earning her a crossover pop and R&B audience. That same year, she played the Montreux Festival in Switzerland. In 1976, she was named Best Female Instrumentalist by Billboard Magazine.